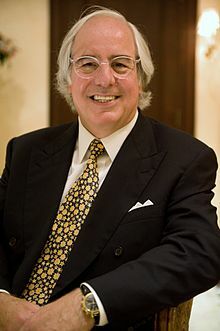 Frank William Abagnale Jr. (/ˈæbəɡneɪl/; born 27 Apryle 1948) is an American siccarity consultant kent for his history as an umwhile con man, cheque forger, an impostor atween the ages of 15 and 21. He became one of the most famous impostors ever, claimin tae hae assumed na fewer than aicht identities, includin an airline pilot, a physeecian, a U.S. Bureau of Prisons agent, an a lawer. He escaped frae polis custody twice (ance frae a taxiin airliner an ance frae a U.S. federal penitentiary) afore he wis 21 years auld. He served fewer nor five years in preeson afore stairtin tae wirk for the federal govrenment. He is currently a consultant an lecturer for the FBI academy an field offices. He an aw rins Abagnale & Associates, a financial fraud consultancy company. Abagnale's life story inspired the Academy Awaird-nominatit featur film Catch Me If You Can (2002), starnin Leonardo DiCaprio as Abagnale an Tom Hanks as the FBI agent pursuin him, as weel as a Broadway muisical o that name an a TV series White Collar, that are based on his autobiografie o the same name. ↑ Salinger, Lawrence M., Encyclopedia of white-collar and corporate crime: A – I, Volume 1, page 418, ISBN 0-7619-3004-3, 2005. ↑ Mullins, Luke (May 19, 2008). "How Frank Abagnale Would Swindle You". U.S. News. Retrieved February 14, 2011. This page wis last eeditit on 21 November 2018, at 00:35.